The Barley Mob, ably assisted by various guests that they dragged up on to the stage, served up a satisfying slice of post-Christmas fun in Whelan’s. At one stage there were 11 people on the stage as a bottle of Jameson was passed between the musicians and it was impossible not to get swept along with the good vibes radiating from a band that were clearly enjoying themselves while spreading their message of peace, love and positivity. Those hardy souls who had arrived early enough also got to catch a great set by the FitzaFrencs, whose brand of blues-tinged ska went down well. 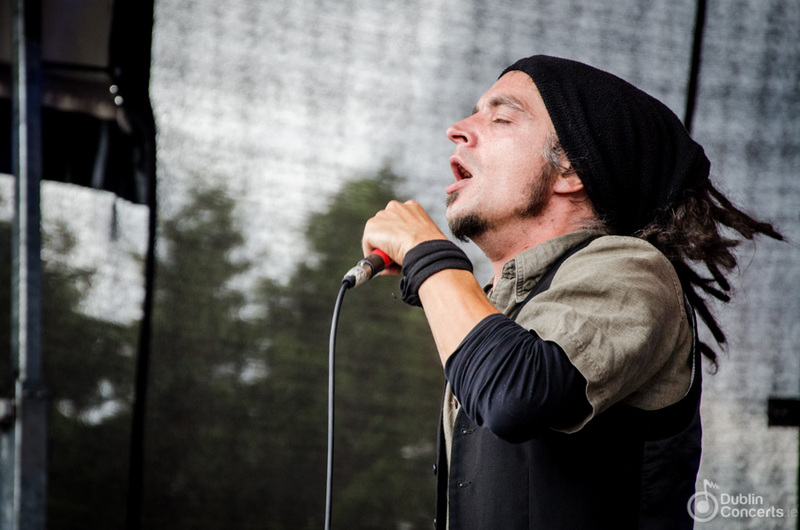 It’s a shame that there weren’t many there to see them as they’re clearly a band who feed off the energy from the crowd. Their set got better as the crowd grew larger, with lead singer Conor McGrath impressively switching between keys, sax and vocals throughout an energetic set that set the tone nicely for what was to follow. As soon as the Barley Mob took the stage frontman Adam Daly was imploring the crowd to move closer to the stage and from the opening lines of first song The World Today, the crowd were bouncing along and the party atmosphere never let up for the whole gig. 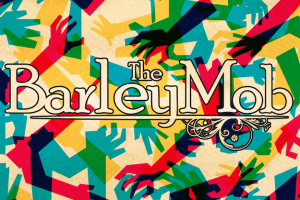 The Barley Mob’s unique blend of folk and reggae is something that doesn’t sound all that appealing on paper but it really works in a live setting thanks to their impressive musicianship and Daly’s masterful command of a stage. Nothing In The World and Bubble Song are other early highlights before the crowd is hushed to a dull murmur for a rendition of The Boatman’s Call that started off as a quiet whistle solo to an all out rocker. From there on in, as more guests were brought on stage and that bottle of whiskey started doing the rounds, the band really hit their stride. Peace of Mind provided a nice quiet moment for everyone to catch their breath before the tempo was ramped up again with You’ll Never Be Lost When You’ve Got Music, a great song that Daly touchingly dedicated to his brother. This was followed by We Go The Distance and Medicine Man, which featured snippets of the Cops theme tune and Ready or Not by the Fugees. Maybe it’s all of that Christmas sherry but there was a warm, fuzzy feeling about the whole evening; a combination of a band in top form, clearly enjoying themselves and spreading a message that is overwhelmingly positive made for a wonderful evening’s entertainment. At one stage they even got the crowd scream out the last of the Christmas negativity – a cathartic moment for some no doubt. There were certainly a lot of smiles on a lot of faces by the time everyone was hunkered down at the urging of the band during Everybody’s Music before leaping up for one final dance and then it was over. With the release of their debut album, this has been a good year for the Barley Mob and if they keep up the level of live performance that they demonstrated here, then their reputation is sure to grow even more in 2014. Check The Barley Mob on their Bandcamp page!